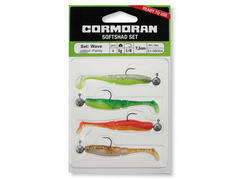 Especially the swimbaits' action decides whether a predator attacks or not. You have a good chance if its swimming action matches the one of a real prey fish. 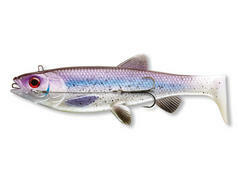 The Plowman Shad is one of these extraordinary lures. 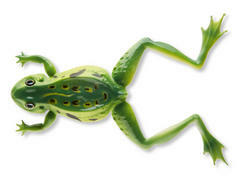 It can be presented both slowly and fast to imitate escaping prey fish. With its flanking movements it runs like a real fish and its big, specially shaped shad tail produces unmistakable blast waves, which attract also dull pikes. 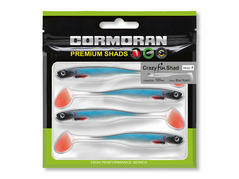 The perfectly chosen material formulation in combination with the broad and flat shape, which is perfectly adopted to the shape of a bleak, enable the unique action of the Crazy Fin Shad. It tilts even at slow speed and flanks temptingly. 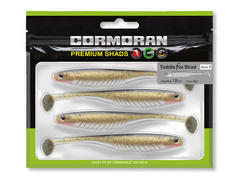 Not only the right choice for zander and perch but also for pikes. "Ready to fish" Crazy Fin Shad rigged on a jig hook. "Ready to fish" Action Fin Shad rigged on a jig hook. Equipped with a small but very active shad tail, which moves at high frequency, the Toddle Fin Shad catches even dull perches, zanders and pikes. A real all-rounder, which can be applied for all fishing techniques. The ribs at the belly create additional turbulences and support the wobbling action of the Toddle Fin Shad. Temptingly real! The shape of the CORMORAN Softfrog has been sculpted via 3D Sculpting process and thus looks exactly lifelike. 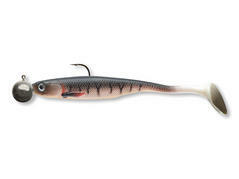 The Softfrog is a soft plastic lure, which can be presented with jighead as well as with preloaded offset hook. 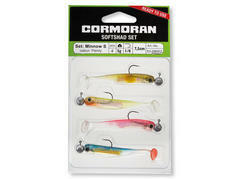 Ready to fish softbait set for perch and Co.
Ready to fish sets for lazy predators. 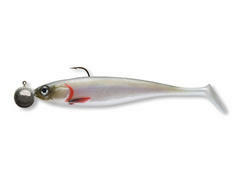 With the Minnow shads you still have the right lure to hand. Lifelike imitation of bee maggots and maggots. Available in 2 sizes, 2.0cm and 2.7cm. 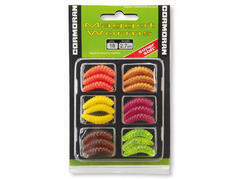 Ideally suited for fishing at ponds for trouts or as main or additional lure for coarse fishing. Perfect imitation of nature. Mini jigs with shad tail and fused jighead. Equipped with a matching, very sharp hook. 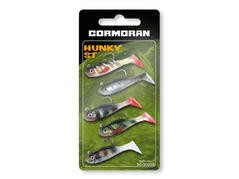 Available as set with 5 super catchy colors, predominantly for perch and trout fishing.